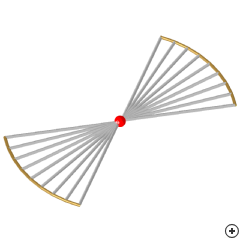 Image of the Wire Bow-tie. Modified dipole-shapes are often used to obtain wideband operation without increasing the complexity of the antenna. The wire bow-tie antenna represents a fairly simple dipole variation, and provides good wideband performance in spite of its simplicity. This antenna is popular for frequencies ranging from VHF up to the millimetre wave range, and has also found application in arrays. 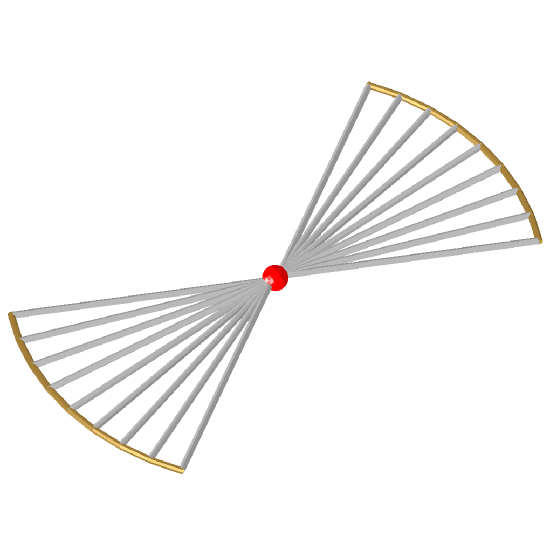 The wire bow-tie is closely related to the rounded (planar) bow-tie; the multiple wires can be seen as a wire simulation of the planar shape. The wire construction makes the wire bow-tie more practical at lower frequencies than planar bow-ties. While the wire bow-tie approximates the performance of the rounded (planar) bow-tie for the most part, its performance is somewhat degraded by higher order resonances that are supported between the wire arms. The wire bow-tie antenna performance is not sensitive to small parameter variations, improving robustness to manufacturing tolerances. While the wire bowtie antenna provides fair wideband performance, it is not a high performance antenna. Demanding applications may call for more complex designs.